The most frequently quoted benefit of installing pocket doors is that it gives you extra space in the home or office, compared to a traditional hinged door. This is certainly true, but once you have this space, what do you do with it? It is common for people to install pocket doors with a specific objective in mind, and certainly the space created can be put to several uses. So, if you are struggling for inspiration, here are some great ideas for how to maximise the new areas in your home or at work. Room divider: If you work from home or have an interest or hobby that requires some quiet study time, a pocket door allows you to section off an area of the dining room, for example, to create a new room. It doesn’t have to be huge, just a space for a desk and chair and some time to concentrate away from the kids and dog. En suite: You can truly transform your home and your everyday life with a pocket door and just a few extra square feet might just allow you to install a toilet, wash basin and maybe even a shower. This brings an amazing return on your investment in the pocket door, improving your quality of life and adding value to the home. Changing room: Stuck in the office and going straight to the gym after work? Or maybe getting changed quickly is part of your job and you need your own space in which to do it? A pocket door allows you to create a small changing room in your office at little expense. Quiet space: We all get that feeling at work sometimes when you want to shut the world away and have some quiet time to have your lunch, or just a bit of privacy. A pocket door can create a sectioned-off space in which you can escape. Storage: We all like to spread out and be a bit untidy on occasions, particularly if we have young kids, but need a quick way to tidy up when people call round at short notice. Install a pocket door to box off a small section of a room and you can quickly pile up the mess without anyone noticing. Dining Room: Open plan homes offer lots of possibilities, but sometimes you want the option of more intimate space. So pocket doors can allow you to section off part of a room, usually adjacent to the kitchen, to create a separate dining room. Party: The flipside of this is that you can open up your sectioned-off rooms when you have guests round and suddenly you have a flexible, open plan area for people to roam around freely and for your home to build up a lively and welcoming atmosphere. So, what are you waiting for? 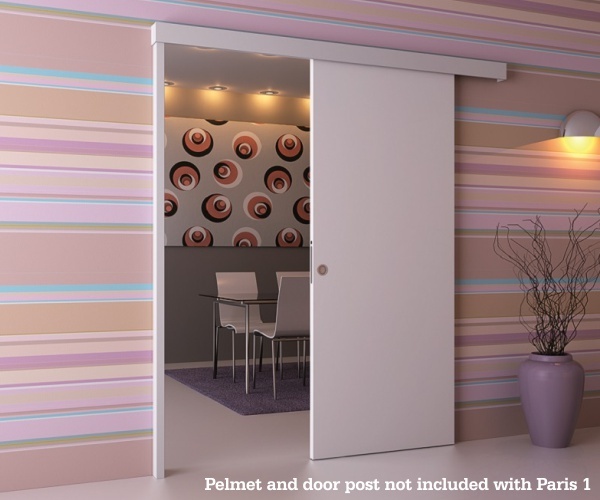 Take some inspiration and transform your life with a pocket door.